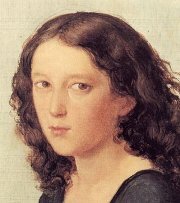 Felix Mendelssohn's String Symphony No.6 in E flat Major dates from 1821 at which time he was 11 years old. It is the last of the first set of six so-called string symphonies he wrote between 1821 and 1823, although a movement also for strings is sometimes called No.13, it is generally not considered one of the string symphonies. An assignment in counterpoint from his composition teacher Carl Zelter, it is nonetheless a finished work. Like the others of this first set, it is in three movements and opens with an energetic Allegro. There is no slow movement. Instead, we find a Menuetto with two contrasting trios.The closing movement, Presto, moves along at breakneck speed with hardly a moment to catch one's breath. It is ironic that while none of these early sinfonia as he called them were intended to be played by the massed string section of a modern symphony orchestra or even the size of today's chamber orchestra, that is the only way these works seem to be heard. The title of Sinfonia was given because of the style rather than the number of players he intended for the work. It is almost certain that Mendelssohn intended this work for five players not more. These lovely pieces were meant for home use and for musical soirees. Long out of print, we are pleased to reintroduce a work which makes a fine selection for quintet or small string orchestra. Virtually all of the other editions have paid no attention whatsoever to page turns and the problems performers have with bad page turns and as a result make a poor choice for performance. However, our edition has eliminated these problems by creating page turns designed for performance.